What's the 'T' in tea party stand for? For Rep. Alan Grayson, D-Fla., it represents a Ku Klux Klan's burning cross. Grayson's 2014 re-election campaign sent out fundraising email today that compared the tea party movement to the KKK, titled, "The Tea Party: No More Popular Than The Klan." The email included a graphic image of two Klansmen standing near a giant burning cross. The cross is used to spell out "tea party" in burning flames. 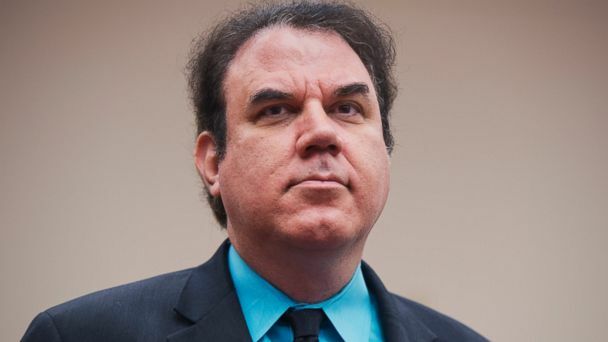 Clicking on the image takes viewers directly to an ActBlue webpage, where they can donate directly to Alan Grayson for Congress, the congressman's 2014 re-election campaign. This controversial messaging isn't new for Grayson, who represents Florida's Ninth Congressional District that includes Orlando, Kissimmee and St. Cloud. The congressman, 55, has made many controversial remarks throughout his career in the House. In 2009, the Florida Democrat made headlines for calling a senior Federal Reserve adviser a "K Street Whore." That same year, the Harvard-trained lawyer and New York City native took to the House floor to attack the GOP health care plan, and said, "If you get sick, America, the Republican health care plan is this: Die quickly." Grayson not only attacked tea party Republicans, but establishment Republicans, as well. He went after House Speaker John Boehner, R-Ohio, accusing him of catering to the tea party and, in the process, disregarding the best interests of the U.S. people. "At this point, Dr. Jekyll has become Mr. Hyde. He has to go," Grayson said of Boehner. "Everyone who is willing to cater to the tea party has to go, so Americans finally get the government that they deserve." Taylor Budowich, executive director of Tea Party Express, said it's "not the first time Grayson has used this rhetoric, and I don't think it will be the last." Budowich called the campaign email "bombastic," saying, "It's unfortunate that you have to defend against these attacks. It's hate speech." Jorge Bonilla, a candidate in the Republican primary who hopes to challenge Grayson in 2014, also condemned the comments today in an email from his campaign, and called on House Democratic leadership to "condemn" Grayson for his "vile and repulsive" use of imagery. "The depiction of burning crosses in Congressman Alan Grayson's most recent fundraising ask is despicable and needlessly hurtful to the many millions of families that still deal with the wounds of racial prejudice," Bonilla, a former Marine Corps reservist and U.S. Navy veteran, said in an email. But Grayson stands by his comments, citing in a statement to ABC News today what he described as numerous examples of tea party racist attacks against President Obama, the first lady and Hispanics. "One could go on and on, because there is overwhelming evidence that the Tea Party is the home of bigotry and discrimination in America today, just as the KKK was for an earlier generation," Grayson said. "If the shoe fits, wear it."